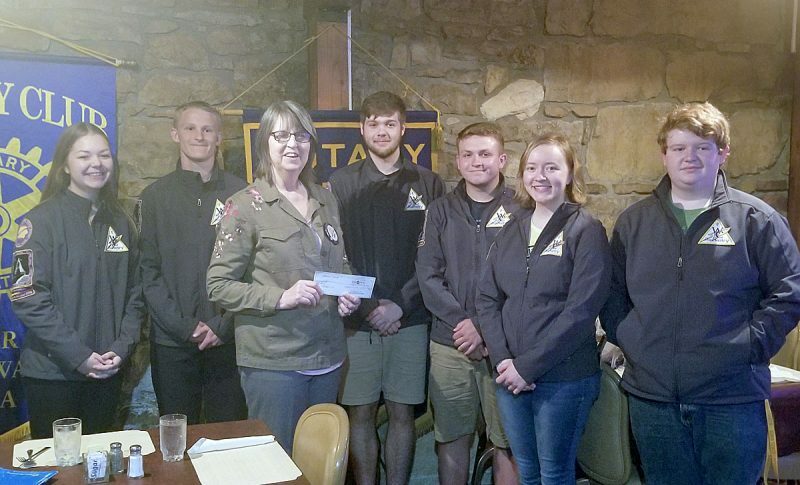 President Marilyn Middleton presented donations to two recipients at the recent meeting of the Webster City Rotary Club. 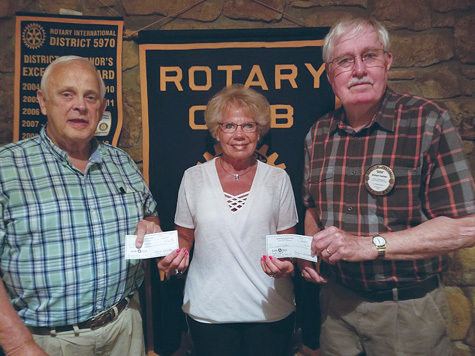 Bob Erickson (left) accepted a check for $500 on behalf of Meals on Wheels. Hamilton County Conservation’s John Laird Eagle Fund received a boost as Richard Carlson accepted the check for $100.